Whether you’ve come to The Pipeshark website because you are seeking options for a sewer line replacement or maybe a water service repair, you’ve read our other pages explaining our trenchless options, Pipe Bursting, Pipe Lining (C.I.P.P.) and Micro-tunneling and while the trenchless technology seems convenient and interesting, you just don’t feel that you have a project that requires a trenchless approach. Then maybe Conventional Excavation is what would work for you! While conventional excavation doesn’t take advantage of The Pipeshark’s special Technologies such as Pipe Bursting, Pipe Lining (C.I.P.P.) 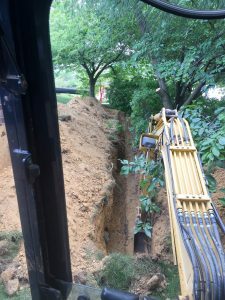 and Micro-tunneling, if you have a difficult, technical or sensitive excavation project focused on utilities like sewer, water, storm, gas and electrical conduits, you should still consider giving us a call. The Pipeshark works hard to understand the parameters of the project and what is important to our clients beyond the mechanics of the installation. Our special trenchless technologies of pipe bursting, pipe lining (C.I.P.P.) and micro-tunneling have taught us to be very non-invasive. We know how to manage people, equipment, and spoils (removed rock and dirt) and will leave your property appearing as if we were never there. We want you to tell the story of your pipe replacement, not your property. Our team is very safety conscious with all members being OSHA 30 trained with additional training focused on excavation, utilities, trench safety, and confined space. The Pipeshark will not only work safely on your project, but will keep the site safe and offer minimal disruption to daily activities. 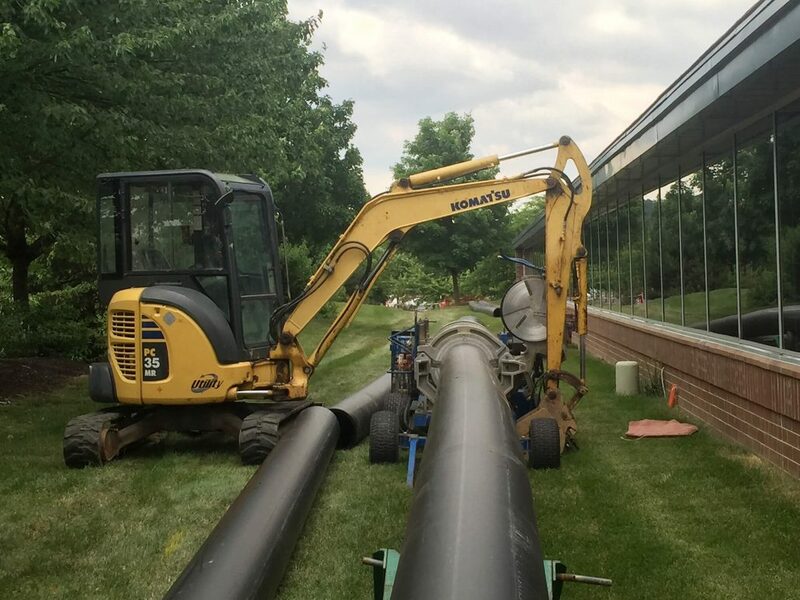 Our Pipeshark team is extremely experienced with conventional excavations and offers this service for residential houses, condos, and apartment complexes across Pennsylvania. Call our staff of experts to schedule a consultation and learn more about how we can help you.